Get the most out of your USB peripherals with Tripp Lite's B202-150 USB Cat5 extender kit. It's the perfect solution for transmitting signals over long distances between your computer and peripherals - ideal for use in home or office workstation. With the ability to connect a USB peripheral up to 150 ft away from your computer the B202 150 turns your PC into a powerful, multi-faceted work station. The B202 150 is completely bus powered and requires no external power supply. With no drivers or software to download or install, it is completely plug and play. Simply connect the local unit to your computer and the remote unit to the USB peripheral using an economical and commonly available CAT5 cable and you'll have immediate communication with your PC. If you're looking for superior solutions for extending your USB perihperals order Tripp Lite's Tripp Lite B202-150 USB to Cat5/6 Extender. To extend your peripherals and streamline your workstation, check out this B202-150 USB to Cat5/6 Extender. 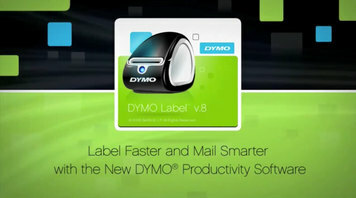 Check out the video to discover the features and applications of the DYMO Productivity Software with DYMO Label v8. This powerhouse laminator from Swingline is perfect for high volume production. 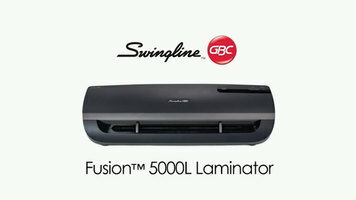 Watch this video to learn more about the Swingline Fusion 5000L.